Phonak Audéo™ B hearing aids automatically adapt to your surroundings and offer a rechargeable option too. Receiver-in-canal (RIC) hearing aids, the Phonak Audéo™ B series is built on Phonak’s advanced Belong platform. Five models are available in the series, suitable for mild to severe levels of hearing loss. So what are the benefits? Never worry about replacing batteries again. 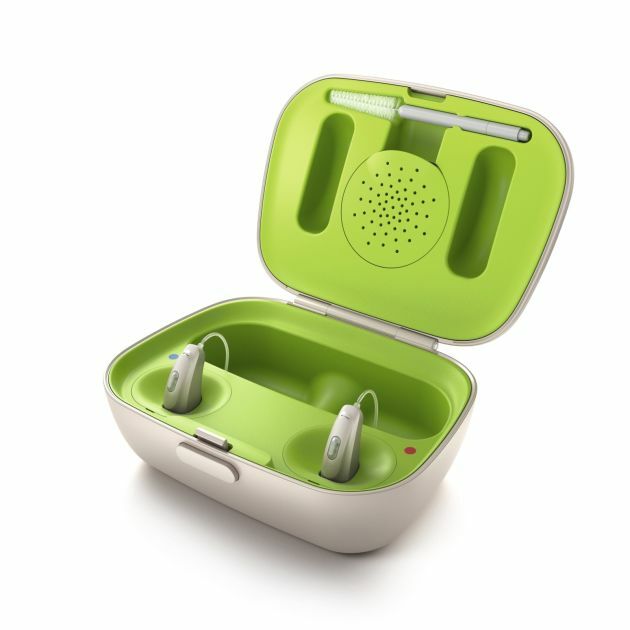 The Phonak Audéo B-R uses a lithium-ion rechargeable battery that is fast charging and long lasting. The lithium-ion batteries (the same composition used in electric cars) delivers reliable performance over many years. They’re high-capacity and quick to charge: a single 3-hour charge can provide up to 24 hours of use. In fact, just 30 minutes of charging will give you up to 6 hours of use. Hearing aid wearers typically go through 100 batteries per year in a standard aid, so it’s environmentally friendly too. A power pack is also available, providing 7 full charges for two hearing aids so you’ll always have a spare. 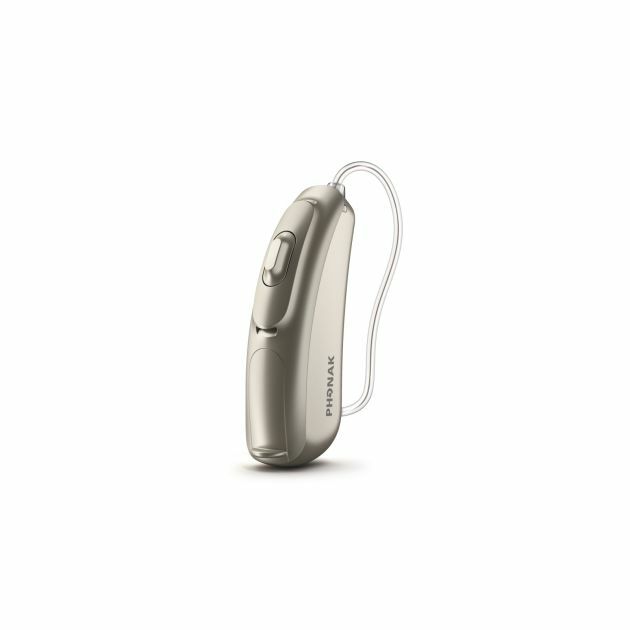 The Phonak Audéo-B is a smart little hearing aid. It’s always listening, detecting the particular acoustic profile around you. It adapts seamlessly to each situation, giving you the best possible sound quality. And it does this all on its own: no manual input required. Its newly updated AutoSense OS software makes the decisions for you in real-time, selecting from over 200 different settings to match your environment. AutoSense OS now comes with additional features, helping you single out a particular voice in a noisy environment. Nine different colours. Four performance levels. Five models. 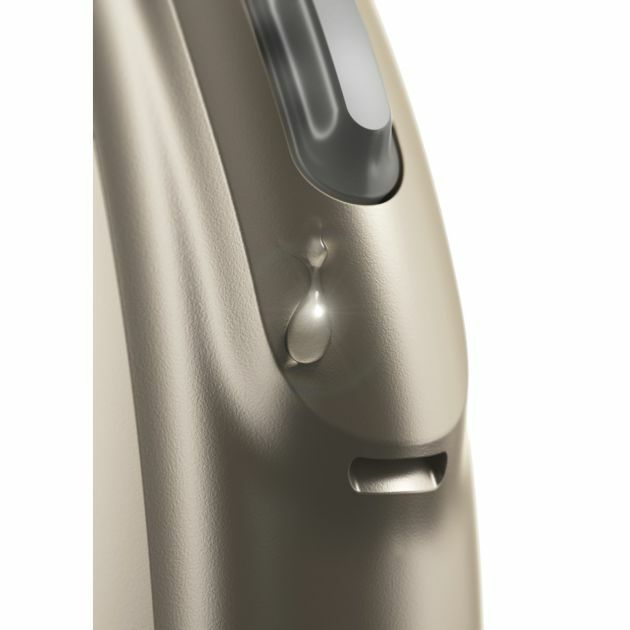 The Phonak Audéo B offers incredible choice. We’re happy to help you choose the right model for you. 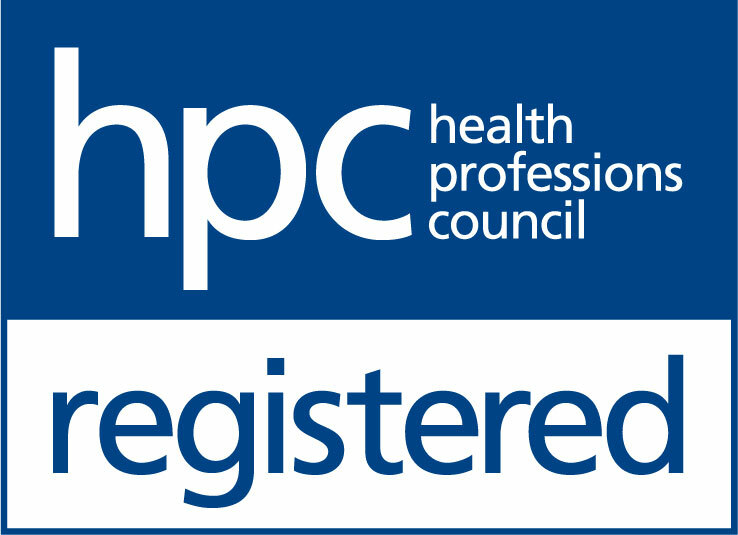 Simply get in touch using the details below.